With Christmas over, and drab winter days still upon us, I'm always ready to start adding more color to my life. 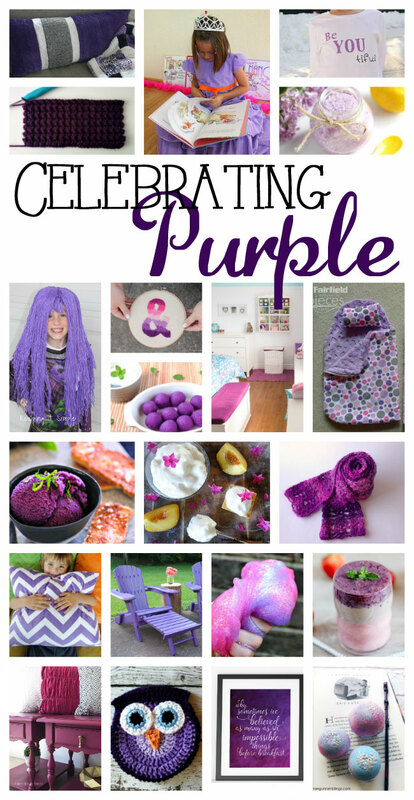 Since Pantone announced their Ultra Violet as their color for the year, I thought it would be fun to celebrate all things purple and violet. Besides your new links this week, we'd LOVE for your to link up any of your own DIY Nativity and Christmas Ideas below. It's time for another Block Party hosted by Rae Gun Ramblings | Keeping It Simple Crafts | Pieces By Polly| Housewife Eclectic! Be sure to check out all of our blogs, because we've been up to some fun things lately.